Then came 1881 when heretics Westcott and Hort started the Bible translation craze in America! There was no question over which Bible was trustworthy for 1881 years. The churches went 1881 years without any so-called “EXPERTS” and there was no debate over which Bible version. It was simply a matter of preserving the Scriptures which they had, and not an insane battle over which of 400 English Bible versions are the genuine Word of God. There are over 3,000 languages in the world where not one word of the Bible exists in print, yet we've had nearly 400 English Bible version produced since the year 1611 when the King James Bible was completed (after 8-years of intense and careful work) . . .
Until 1881, the churches had accepted one text of the New Testament, the one preserved by faithful churches in the majority of the manuscripts. Since 1881 and the Westcott and Hort text, there has not been a text accepted by all Christians. Since 1881 there has been controversy and confusion (which by the way, is reflected in the many modern translations all claiming to be the Word of God and all different from each other). Some say it is the United Bible Society's Greek text and the English translation of it that is God's Word. Others say, no, it is the Nestle Greek text and the English translation of it that is God's Word. Now it comes down to the tyranny of the experts. What do the scholars say? Each scholar says something different than the other. This leaves the King James Version standing like a lighthouse on the storm swept shore, for it is the only English translation of the New Testament based entirely upon the text that has been passed on to us by faithful churches. The modern controversial debate over the INERRANCY of the King James Bible wasn't an issue until 1881 and after, when the Devil started publishing a new Bible version every month to CONFUSE the churches. It's been said that the man who owns one watch always knows what time it is, but the man who owns two watches is never sure of the time. Think about it! If a man has 12 Bible versions that all say something different, then he never knows what time it is spiritually. Bless God, I only use the King James Bible and I ALWAYS know what time it is spiritually. The King James Bible is the Christian's spiritual gyroscope (an instrument used on airplanes to help the pilot navigate), which shows us which way to go for God, no matter what direction life may send us. Someone has wisely said that a man who owns only one watch knows what time it is, but a man who has two watches is never quite sure. This certainly is the case as far as the translations of the Bible are concerned. Because there are so many translations of the Scriptures, all claiming to be God's Word, many people are not sure "what time it is." That is to say, they are not sure which translation is truly God's Word. There was a time when there was a translation in the English language that was accepted as the Bible. It was the King James Version. When we wanted to know what God had said, we went to our Authorized Version and read there the words of God, but now there are many "Bibles" all claiming to be the words of God. Now no one is quite sure which translation is the Word of God. The situation today, where many translations all claim to be God's Word, exists largely because of the amount of money to be gained by publishing yet another trendy translation of God's unchanging Word. One can make a lot of money by making a catchy, clever translation of God's Holy Word. Why does the English language need over two hundred translations when there are over 3,000 ethnic languages that do not have one word of Scripture? I suppose the money that should have been used to publish God's Word in these languages has been used up on English language readers who want their ears tickled by yet another trendy translation. The fact that there are so many translations of the Bible in English, while 3,000 Bibleless nations have nothing, reflects a serious sickness in the spiritual condition of English-speaking Christians. However, there is an even more serious issue involved. It is the matter of authority. The authority of God's Word in the English language has been eroded because of these many translations. There are many translations, all claiming to be God's Word. Who decides which one is God's Word? You do. You choose which one you believe to be the Word of God. However, there is a problem with this. Who put you in charge of deciding which translation is the Word of God? If one translation does not suit your prejudice, you can usually find one that will. God's Word no longer has authority over you. You have, due to your picking and choosing of translations, become the authority over God's Word! When there are two or more authorities, the result is there is no authority at all. Your feeble judgment becomes the authority as to which translation is right. This is the reason for the severity of the many English translations problem. The many translations have robbed the Word of God of its authority and left man's intellect in charge of deciding whether he would have this version or that version to rule over him. The result is the deplorable state of modern man where "every man is doing that which is right in his own eyes." Each man becomes an authority unto himself, and confusion reigns. Because of the confusion caused by so many translations in English, the King James Version stands out more than ever as the one authoritative Bible in the English language. We do not accept the King James Version because of some sentimental connection to it nor because of it's old-fashioned Elizabethan English, nor because it is the oldest translation in use today. We accept it because it is the most accurate and reliable translation in the English language today. There are some tried and true reasons for accepting the King James Version as the standard for English speaking people. First, the King James Version, New Testament, is a translation of the Textus Receptus Greek text. This leaves the King James Version as the only translation of the New Testament that is based entirely on the Textus Receptus. All other English language translations since 1881 have followed modern "scholarship" and based their translations on texts other than the Textus Receptus Greek text. 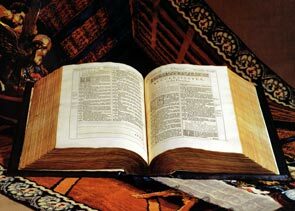 There are good reasons why the Textus Receptus, and the King James Version which is a translation of it, is the only valid text of the New Testament that should be translated into other languages. For example, in Matthew 6:13, the last part of the verse reads, "For thine is the kingdom, and the power and the glory, forever. Amen." In all the above Greek texts, except the T.R., these words are deleted. They are considered by modern Greek scholars as invalid. They have deleted them from their text. If a translator were to translate from any other text but the T.R., he would leave these words out of his translation because in the other texts these words are not there to be translated. If they are there, they have been relegated to a footnote that implies that these words are not a part of Scripture. Again, in Colossians 1:14, the King James reads, "In whom we have redemption, through his blood, even the forgiveness of sins." The words "through his blood" have been deleted by every text except the Textus Receptus. Again, in Romans 8:1, the words "who walk not after the flesh but after the Spirit" have been deleted in all the Greek texts except the T.R. There are many other such deletions. The Textus Receptus is the only text that has not been badly mutilated by such deletions. All the other texts have been growing shorter and shorter over the years as "scholars" took their lead from the rationalism of Lachmann and whittled away more and more of the New Testament Greek text. Because of this deleting of more and more of the New Testament Greek text, it has now become obvious that this cutting down of the New Testament Greek text is not genuine scholarship but prejudiced rationalism working under the disguise of textual criticism. The above scenario is based on the Scriptures that show that this indeed happened as described above. For example: II Peter 3:15, 16 says, "even as our beloved brother Paul also according to the wisdom given unto him hath written unto you; As also in all his epistles, speaking in them of these things; in which are some things hard to be understood, which they that are unlearned and unstable wrest, as they do also the other scriptures, unto their own destruction." In these verses Peter clearly says that the words of Paul were equated with ".the other scriptures." Peter believed the words of Paul to be the inspired Word of God. Peter wrote this in a time when there were those who did "wrest" the Scriptures. That is, those who took some words in Paul's letters and wrested them. To wrest them has the meaning of, "to put them on the rack of torture" in order to force them to say what their torturers wanted them to say. This clearly shows that the early churches were on the look out for those who would pervert their Scriptures. The early churches were aware of this problem and took great care to avoid the twisting of their Scriptures by false teachers who would deliberately try to change the original reading of Scripture. Peter warned the Christians to watch out for this very thing. That these Scriptures were passed from one church to another church is clearly indicated in Colossians 4:16 where it says, "And when this epistle is read among you, cause that it be read also in the church of the Laodiceans; and that ye likewise read the epistle from Laodicea." This verse shows that there was a sharing of copies of the Word of God from church to church. Because such a prominent leader as Peter considered the words of Paul as Scripture and said that he knew about those who would wrest the Scripture, is it not evident that the churches would take even greater care to watch over these Scriptures? This is obviously the case because the early churches, led by the Holy Spirit, rightly concluded that the words of Paul were the inspired Word of God. They took every precaution to watch over these Scriptures by comparing them with faithful copies held in trust by other churches. Although false teachers deliberately changed the text in an effort to support their false teachings, it was a simple matter to correct a text and bring it back to the original reading. This process of preserving the pure Word of God through faithful local churches continued on without interruption until 1831 when Karl Lachmann, a German rationalist, began to apply to the New Testament Greek text the same criteria that he had used in editing texts of the Greek classics. Lachmann had been studying such Greek classics as Homer's Iliad. These Greek writings were mere stories, but Lachmann was trying to get back to what Homer and other Greek authors had originally written. The Greek classics had been thoroughly altered over the years. So many alterations of the Greek classics had been made that no one was sure what the original author had written. Lachmann wanted to know what the original text had been, so he developed a textual criticism process whereby he would try to sort out the original text from the badly corrupted modern text. After this, someone got the "bright idea" that Lachmann's process should be applied to the New Testament. Lachmann had set up a series of presuppositions and rules for arriving at the original text of the Greek classics that were hopelessly corrupted. He now began with these same presuppositions and rules to correct the New Testament. He began with the presupposition that the New Testament was as hopelessly corrupted as the Greek classics. He had made a very dangerous mistake. A similar process in the copying of the Greek classics did not match the loving and reverent care given to the copying of the Word of God by faithful churches. The Greek classics were hopelessly corrupted but this was not true of the New Testament. Extremely careful scribes had taken great pains to copy New Testament manuscripts. These scribes knew the exact number of words and letters that were in the original copies. They counted the words and letters each time a new copy was made to insure that nothing had been added or deleted. In addition to this, faithful churches carefully guarded their precious copies of Scripture to protect them from heretical changes that may have been inserted in other copies of the text. Following Lachmann's lead, B.T. Westcott, and F.J.A. Hort produced their first textual critical edition of the Greek New Testament in 1881. It was based almost entirely upon the same presuppositions of Lachmann's textual criticism. These two men used most of Lachmann's rules of textual criticism and came up with a few of their own. They applied these rules to the Greek text of the New Testament as produced by Erasmus and came up with a different Greek New Testament based on the scholarship of Lachmann and that of their own. The point of departure had been made. No longer were the majority of manuscripts, preserved by faithful churches, the basis for recognizing the original reading. From now on, the learned professors would deliver the Christian world from their "ignorance" and by their expertise would deliver to the churches a purer text of the New Testament. Dr. Gresham Machen, the greatest Greek scholar and theologian in American history, called this kind of scholarship "the tyranny of the experts." Similarly, Charles H. Spurgeon preached the same theme in a sermon entitled, "The Greatest Fight in the World." He said, "We have given up the Pope, for he has blundered often and terribly; but we shall not set up instead of him a horde of little popelings fresh from college. Are these correctors of Scripture infallible? Are we now to believe that infallibility is with learned men? 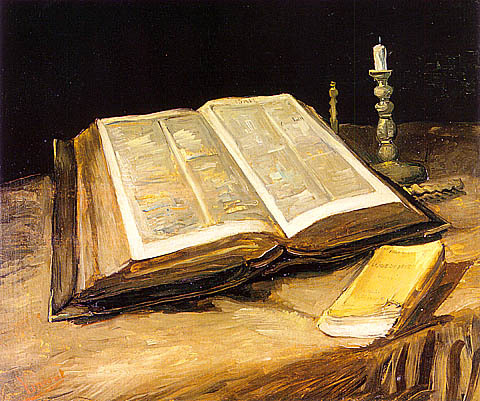 Now, Farmer Smith, when you have read your Bible, and have enjoyed its precious promises, you will have, to-morrow morning, to go down the street to ask the scholarly man at the parsonage whether this portion of the Scripture belongs to the inspired part of the Word, or whether it is of dubious authority. We shall gradually be so be doubted and be criticized, that only a few of the most profound will know what is Bible, and what is not, and they will dictate to all the rest of us. I have no more faith in their mercy than in their accuracy: they will rob us of all that we hold most dear, and glory in the cruel deed. This same reign of terror we shall not endure, for we still believe that God revealeth himself rather to babes than to the wise and prudent, and we are fully assured that our own old English version of the Scriptures is sufficient for plain men for all purposes of life, salvation, and godliness. We do not despise learning, but we will never say of culture or criticism, "These be thy gods, O Israel!" Machen had it right and so did Spurgeon. Textual criticism by the "experts" is a horde of little popelings who by their assumed infallibility have the gall to tell us what is God's Word and what is not. Such is the tyranny of the experts. After Westcott and Hort, the Pandora's box had been opened and all the evils of German rationalism began to tear at the Foundation of the Faith, the Holy Scriptures. This has continued until this day in both the higher and lower forms of textual criticism. Today the situation involves almost as many different texts of the Greek New Testament as there are scholars. 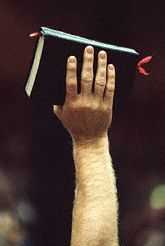 Each scholar decides for himself what he will or will not accept as the Word of God. Consequently, each new edition of the Greek New Testament has led to a smaller and smaller New Testament. If Satan has his way, this would continue until all of the New Testament would cease to exist. Since 1881, all the critical texts of the Greek New Testament are a little shorter than the one published before it. Westcott and Hort had a few hundred variant readings. Metzger's edition has three to four thousand variant readings, many of which he has deleted from the text without so much as a footnote to tell you it has been deleted. The modern critical texts have steadily become shorter and shorter. This is a clear indication that there is a "snake in the woodpile somewhere." This statement is very vague. It says "In general:" which means sometimes but not always. Who decides when the rule applies and when it does not apply? On what basis is such a decision made? We are not told. Then it says, "The more difficult reading." Who decides when a reading is more difficult than another one and on what basis? Again, we are not told. Then the rule says, "particularly when the sense appears on the surface to be erroneous." Who decides when this "sense" or that "sense" is "on the surface" and "erroneous?" The scholars do. Then it says in a question begging statement that "on a more mature consideration it proves itself to be correct." Who decides which consideration is the mature one? Naturally, the same self-appointed scholars do. This "rule" allows a textual critic to read the Greek New Testament variants and decide which reading is the more difficult, which sense is the surface meaning and which consideration is the mature one. Somehow, these experts get down into a "deeper knowledge" that allows them to include or exclude a verse of the Greek New Testament. Their decisions to include or exclude words and verses from the Bible are based on what the scholars think. It is no longer the Word judging them. They can now judge the Word. This is nothing more than the old first century Gnosticism which feeds on the pride of man in his intellect and leads to the destruction of the Faith that was once and for all delivered to the saints. This vague language means that one should choose the variant reading which clashes most with the grammatical structure of the book rather than the reading which is most in harmony with it's grammatical structure. This meaningless jargon allows each scholar to choose whatever he wants. Therefore, it comes down to accepting what the scholars say or accepting what the majority of the manuscripts say. One must either accept the correct reading based on the majority of manuscripts, or he may follow a few manuscripts that have a reading that is different from the majority of the manuscripts. On the other hand, one can ask the scholars which variant is the right one and they will say, "Well, for certain reasons the few manuscripts with the variant reading are right." They base their decisions on the "external evidences" and "internal probabilities" developed by German rationalism. This is just the old first century Gnosticism warmed over and is not the right way to go about deciding the text of the Holy Scriptures. The textual critic is flying into the face of thousands of years of history when the text of the New Testament was preserved, not by scholars, but by faithful churches. For nearly two thousand years, the churches never applied these vague rules of textual criticism in order to determine what the correct reading of Scripture was. Faithful churches preserved accurate copies of the New Testament that had been passed on to them. Eighteen hundred years later the scholars came along and said, "No, your text is as corrupted as the Greek classics, and besides you cannot determine the right reading on the basis of the majority of the manuscripts. You must now determine the correct reading on the basis of scholarly principles." So now, the correct reading is "up for grabs." One Greek scholar says one reading is right, while another says it is not. There is mass confusion much like the ridiculous uncertainty of modern art. Well, that is how the situation came to be, but that does not mean that is what it should be. God is not the author of confusion. God inspired the Scriptures by causing them to be written by holy men of God who were controlled by the Holy Spirit (II Peter 1:21). Moreover, after God inspired His Word, he did not abandon it to be protected by mere man's scholarship. Through faithful churches, He watched over the transmission of the Scriptures from one century to the next. True, this transmission was done by copyists who made mistakes in their copying, but there was always the checking of manuscripts with those of other faithful churches to insure that the text was transmitted without error. God not only took great care to inspire men to write the Scriptures under the control of the Spirit, He also took great care to preserve those Scriptures. When God sent His Son into the world as the Living Word, he did not abandon Him but preserved His life until it was time for Jesus to die on Calvary. Even then, he raised Him from the dead to triumph over all His enemies. Similarly, God did not send His written Word into the world and abandon it to the whims of men. He watched over His Word to preserve it just as He preserved the Living Word. Without the preservation of Scripture, the inspiration of Scripture would be in vain. God guarded his Word through faithful churches who carefully checked their copies of manuscripts with those of other churches. The result is that today there are over 5,000 manuscripts of various books of the Greek New Testament and some complete New Testaments all of which, in the majority of manuscripts, agree. If we need to decide what is the right text, we can go by what the reading is in the majority of the manuscripts. Churches formally affirmed the canon of the New Testament in 397 AD. However, all the books of the New Testament had already been judged by faithful churches to be authentic a long time before that. The churches rejected other books as not being Scripture. Those rejected books were the unauthenticated books that claimed to have a special vision of God's truth. These apocryphal books were rejected by the churches as not being drawn from the "wells of salvation." There was no mark of divine inspiration on them. The churches decided the issue of which books were a part of Scripture under the leadership of the Holy Spirit. However, more important than these reasons is the word of the Lord Jesus on the matter. In Matthew 4:4 Jesus quotes from the Old Testament in Deuteronomy 8:3 which says, "Man shall not live by bread alone but by every word that proceedeth out of the mouth of God." In this verse Jesus sanctions every word of Scripture as God's Word. He says every word comes out of the mouth of God, not only from men's minds. In Matthew 24:35 Jesus said, "Heaven and earth shall pass away, but my words shall not pass away." He declared that his words would not pass away. We have his promise on it. We may believe Jesus or the textual critic whose basic assumption is that the New Testament is hopelessly corrupted. In Matthew 5:18 Jesus said that not "one jot or one tittle should pass from the law." This is speaking of the Old Testament but is equally applicable to the New Testament because the Author of both is the Holy Spirit. In this verse, Jesus declares that it is easier for heaven and earth to be destroyed than it is for the smallest part of a letter of Scripture to be destroyed. The jot and tittle are small marks that go under a letter. Jesus said that not even these would be lost. His argument is that if the smallest part of Scripture (the jot and tittle) would be preserved, then certainly the larger parts (the words) would be preserved as well. In John 10:35 Jesus bases his argument on a single letter in a word. The whole argument is based on the difference between theos "God" and theoi "gods." This is the difference between the last letter being an -s or an -i. The suffix -s indicates singular and the suffix -i indicates plural. The Lord based his argument on the single letter -i. This proves that Jesus was conscious of the fact that not only were the words of Scripture preserved without error, he was also conscious of the fact that the very letters and even the small jots under the letters were preserved without error. If Jesus bases an argument on a single letter in Scripture, and he says that not even a part of a letter will be destroyed, then He must know more about Scripture than we do. One can accept the vague musings of scholars or the clear words of Jesus who said that the smallest particle of God's Word would not be destroyed. Jesus said that God would preserve His Word, and that is exactly what has happened. God not only inspired holy men to write his Word, he used faithful churches to preserve that Word even unto the present day. We have God's unerring Word in the Textus Receptus, because it is based on the majority of manuscripts preserved by the churches. Since 1881, many Christians have followed Westcott and Hort into error. Even many of the major Bible societies have fallen into this error. As for Baptist Bible Translators Institute, we stand with those faithful churches that have preserved God's Word through the centuries. We stand on the Word of God in the King James Version, because it is the only translation in the English language that is free from the presuppositions of modern Gnosticism. There is no reason for us to move into the Gnostic's camp where it is a matter of one opinion versus another opinion. We must not follow anyone's opinion. If we do, we will be shifting constantly and every man doing that which is right in his own eyes-the deplorable state of modern man. Dying in bed—I'm too sick to think, I'm weak and suffering. Death is too late to think—time's over and opportunity is lost. In eternity—forever to think, I'm in Hell now with no mercy, and lost forever. The originals are in Heaven (Psalm 119:89). God's Words were inspired in Heaven before ever given to man. God's Words are inspired into whatever language they are translated, because they always were inspired. God's Words do not lose their inspiration just because they are translated from one language into another. Job 32:8, "But there is a spirit in man: and the inspiration of the Almighty giveth them understanding." It is God's breath, inspiration, that gives His Words authority, power and makes them alive. They are God's very Words. Hebrews 4:2 teaches that God's Word is "quick" (alive). God's Words do not cease to be inspired just because they are translated into English. What God has breathed life into continues to bring forth life. God's Words are life. God breathed those Words to man and they continue to bring forth life, because they are life. “Too long I've laid me down to sleep, and prayed the Lord my soul to keep.